Owning a dog day care is a very rewarding albeit challenging endeavor. Meeting the physically active needs of large and small breeds with varying levels of temperament takes a lot of planning and careful supervision. When you find the right balance, your clients are happy. These days they will then “like” you on Face Book and tweet images of their pet getting dropped off at doggy day care to all of their followers, giving new meaning to the term “word of mouth”. Within days you can gain more clients than you know what to do with. For this reason room dividers are an excellent way to give you flexible play spaces. It is important when shopping for room dividers and other dog day care equipment that you do your research. You’ll want to make sure that the dividers are made of a heavy duty, pet safe material, on lockable wheels so your staff can move them around into multiple configurations. Direct Animal’s room dividers are made of High Density Polyethelene (HDPE) It’s similar to cutting board material and has many benefits. It is abrasion, moisture, stain and odor resistant, FDA, NSF and USDA approved for its closely packed structure and chemical resistance. It’s an ideal application for dog day care equipment which will endure daily abuse from the dogs and daily cleaning from their keepers. We use a special thickness which yields high impact strength and resists scratching. 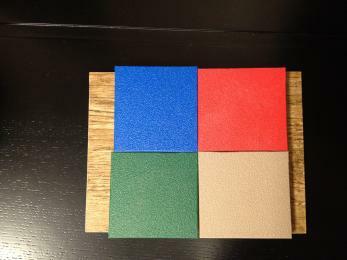 We offer these dog kennel panels in 4 standard colors, blue, red, green and clay. The HDPE is then set inside a stainless steel frame on rolling/locking wheels for versatile configurations. The result is a colorful, less expensive way to divide space that doesn’t include construction permits and permanent walls. If you’re in the market for doggy day care room dividers or any type of dog boarding supplies send us an email or call us at sales@directanimal.com and 877-459-7827. Please contact us at 877.459.7827 or sales@directanimal.com for pricing. I am opening up a doggy daycare in July. I’m currently making the budget and writing the business plan. 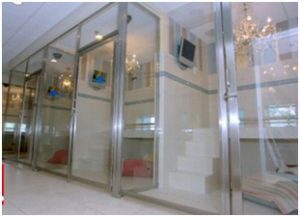 Can you give me an estimate on pricing for partitioning a 2500 sqft building with 4 separate areas? Hi, I need to know how much a 25 foot long section of dividers would run me? Please email sales@directanimal.com or call the office at 877.459.7827 for a current quote. Thanks! Do you ship products to the UK ? My friend is planning to put up her own dog day care, so I was looking for some designs. Do you have dividers with designs and not just plain colors? The day care will just be exclusive for toy dogs. 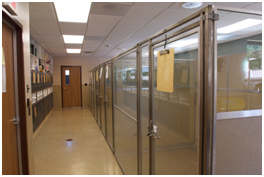 Please email sales@directanimal.com or call the office at 877.459.7827- We can help you out with the kennel design & discuss the side panel options . Thanks!